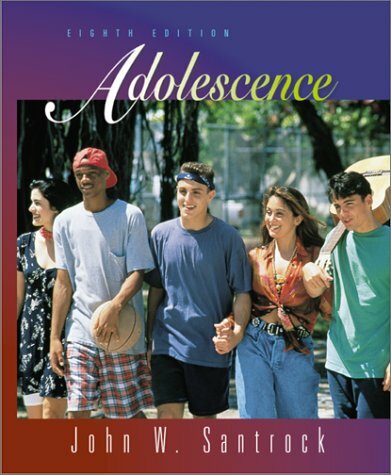 Amazon.com description: Product Description: The leading text for the Adolescence Psychology course, Adolescence 8th edition is the most accurate and up to date text available. Applauded by adopters as eloquently written and intelligently presented, this text bears John Santrockâs trademark balance of accurate, current content for faculty and effective pedagogy for students. Included in this new edition are the most cutting edge research available and thoroughly integrated coverage of culture, ethnicity and gender, and school-related issues. For students, Santrockâs student-celebrated pedagogical system has been enhanced to better help students see how the course material fits together.